We begin with ''How can we be of service to you?'' This simple phrase lies behind everything we do at Bethany Village. 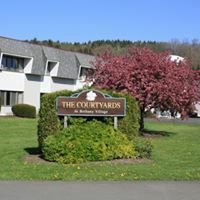 Located in the Southern Finger Lakes region of New York, we combine the pleasures of comfortable, maintenance-free living with the assurance of assistance being at most a phone call away. Through everything we do, Bethany Village affirms your independence by showing respect for your individual preferences. That is why we always keep the emphasis on preserving your freedom of choice, from the way you decide to furnish and decorate your home to the activities and socializing in which you participate. 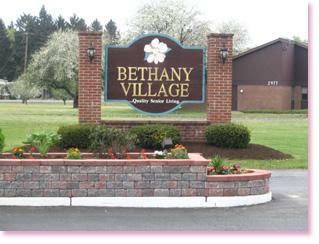 Bethany Village is located in Horseheads, New York on over one hundred acres of rolling green fields and woods not far from Elmira, Corning, and Ithaca, NY. The Village is close to the Finger Lakes, with easy access to outdoor activities, shopping, and the airport. 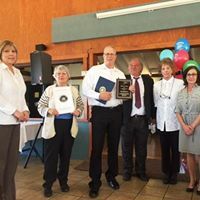 Bethany Village is a not-for-profit community, founded in 1973 dedicated to the concept of continuing care, where residents are offered the lifestyle they desire and the services and assistance they deserve, while continuing to live within one community. 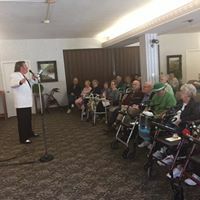 Bethany Village encourages its residents to maintain and enhance their physical, emotional, and spiritual health through programs of wellness, education and resident-centered care. 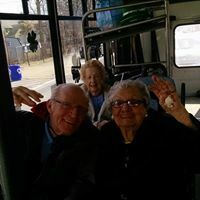 Should the need ever arise for extra support, residents are guided in accessing alternative living and care accommodations without ever having to leave the Village.